For ethnic Chinese, regardless of nationality or political affiliation, see Han Chinese. Chinese people are the various individuals or ethnic groups associated with China,  usually through ancestry, ethnicity, nationality, citizenship or other affiliation. 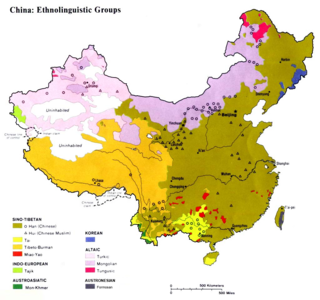 Han Chinese, the largest ethnic group in China, at about 92% of the population,  are often referred to as "Chinese" or "ethnic Chinese" in English,   however there are dozens of other related and unrelated ethnic groups in China. The Hui people are an East Asian ethnoreligious group predominantly composed of ethnically Sinitic adherents of the Muslim faith found throughout China, mainly in the northwestern provinces of the country and the Zhongyuan region. 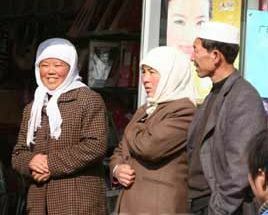 According to the 2011 census, China is home to approximately 10.5 million Hui people, the majority of whom are Chinese-speaking practitioners of Islam, though some may practise other religions. The 110,000 Dungan people of Kazakhstan and Kyrgyzstan are also considered part of the Hui ethnicity. The Zhuang people are an ethnic group who mostly live in the Guangxi Zhuang Autonomous Region in southern China. Some also live in the Yunnan, Guangdong, Guizhou and Hunan provinces. They form one of the 56 ethnic groups officially recognized by the People's Republic of China. With the Buyi, Tay–Nùng, and other northern Tai speakers, they are sometimes known as the Rau or Rao. Their population, estimated at 18 million people, makes them the largest minority in China. Special administrative region is a designation for types of administrative territorial entities in China, North Korea and Indonesia. Several ethnic groups of the People's Republic of China are not officially recognized. Taken together, these groups number more than 730,000 people; if considered as a single group, they would constitute the twentieth most populous ethnic group of China. 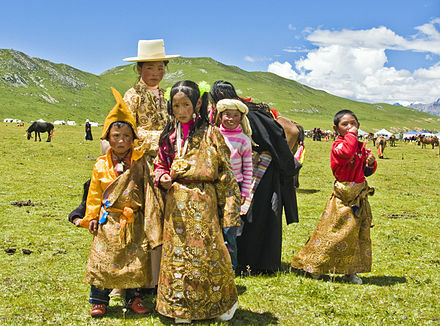 Some scholars have estimated that there are over 200 distinct ethnic groups that inhabit China. There are in addition small distinct ethnic groups that have been classified as part of larger ethnic groups that are officially recognized. Some groups like the Hui of Xinjiang with the Hui of Fujian are geographically and culturally separate except for the shared belief of Islam. Han Chinese being the world's largest ethnic group has a large diversity within it, such as in Gansu, the Han here may have genetic traits from the assimilated Tangut civilization. Although they are indigenous to Hainan island and do not speak a Chinese language, the Limgao (Ong-Be) people near the capital are counted as Han Chinese. The Nationality law of the People's Republic of China regulates nationality within the PRC. A person obtains nationality either by birth when at least one parent is of Chinese nationality or by naturalization. 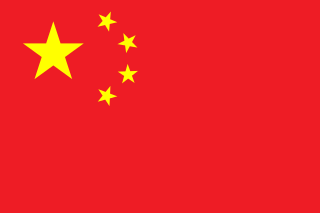 All people holding nationality of the People's Republic of China are citizens of the Republic. The Resident Identity Card is the official form of identification for residents of the People's Republic of China. Overseas Chinese refers to people of Chinese ethnicity or national heritage who live outside the People's Republic of China or Taiwan as the result of the continuing diaspora. People with one or more Chinese ancestors may consider themselves overseas Chinese. Such people vary widely in terms of cultural assimilation. In some areas throughout the world ethnic enclaves known as Chinatowns are home to populations of Chinese ancestry. Overseas Chinese are people of ethnic Chinese birth or descent who reside outside the territories of Mainland China, Hong Kong, Macau and Taiwan. Although a vast majority are Han Chinese, the group represents virtually all ethnic groups in China. Inner Mongolia or Nei Mongol, officially the Inner Mongolia Autonomous Region or Nei Mongol Autonomous Region (NMAR), is one of the autonomous regions of the People's Republic of China, located in the north of the country. Its border includes most of the length of China's border with Mongolia. The rest of the Sino–Mongolian border coincides with part of the international border of the Xinjiang autonomous region and the entirety of the international border of Gansu province and a small section of China's border with Russia. Its capital is Hohhot; other major cities include Baotou, Chifeng, and Ordos. Ethnic minorities in China are the non-Han Chinese population in the People's Republic of China (PRC). China officially recognizes 55 ethnic minority groups within China in addition to the Han majority. As of 2010, the combined population of officially recognized minority groups comprised 8.49% of the population of mainland China. In addition to these officially recognized ethnic minority groups, there are Chinese nationals who privately classify themselves as members of unrecognized ethnic groups. Chinese nationalism is the form of nationalism in China which asserts that the Chinese people are a nation and promotes the cultural and national unity of the Chinese. The names of China include the many contemporary and historical appellations given in various languages for the East Asian country known as Zhōngguó (中國/中国) in its official language. 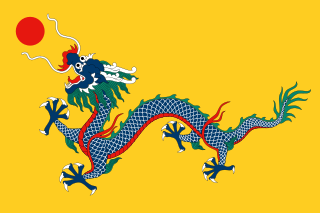 China, the name in English for the country, was derived from Portuguese in the 16th century, and became popular in the mid 19th century. It is believed to be a borrowing from Middle Persian, and some have traced it further back to Sanskrit. It is also generally thought that the ultimate source of the name China is the Chinese word "Qin", the name of the dynasty that unified China but also existed as a state for many centuries prior. There are, however, other alternative suggestions for the origin of the word. Han chauvinism is a term coined by Mao Zedong on March 16, 1953, to criticize ethnocentrism among the majority Han people of China. In a party directive drafted for the Central Committee of the Chinese Communist Party titled "Criticize Han Chauvinism", Mao said, "In some places the relations between nationalities are far from normal. For Communists this is an intolerable situation. We must go to the root and criticize the Han chauvinist ideas which exist to a serious degree among many Party members and cadres ..."
Huaxia is a historical concept representing the Chinese nation and civilization. It came forth out of a self-awareness of the Han Chinese people towards their ancestral tribes, collectively known as the Huaxia. Taiwanese people are people from Taiwan who share a common Taiwanese culture and speak Mandarin Chinese, Hokkien, Hakka, or Aboriginal languages as a mother tongue. 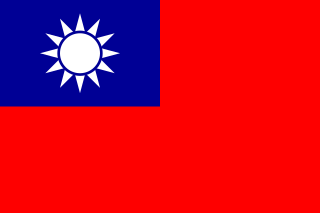 Taiwanese people may also refer to individuals who either claim or are imputed cultural identity focused on Taiwan or areas under the control of the Government of the Republic of China since 1945, including Penghu, Kinmen, and Matsu islands. At least three competing paradigms are used to identify someone as a Taiwanese person: nationalist criteria, self-identification criteria, and socio-cultural criteria. These standards are fluid, and result from evolving social and political issues. The complexity resulting from competing and evolving standards is compounded by a larger dispute regarding Taiwan's identity, the political status of Taiwan, and its potential de jure Taiwan independence or Cross-Strait Unification. The State Ethnic Affairs Commission of the People's Republic of China (SEAC) is a cabinet-level department under the State Council of the People's Republic of China and responsible for relations between the Central Government and ethnic minorities in China. The definition of 'Taiwanese' identity has been an ongoing issue for several decades arising from the political rivalry between Taiwan, and the People's Republic of China (PRC). People from Taiwan are frustrated by the political rivalry which is the cause of confusion in people's national identity, both inside and outside Taiwan. According to government figures, over 95% of Taiwan's population of 23.4 million consists of Han Chinese, while 2.3% are Austronesian Taiwanese aborigines. The category of Han Chinese consists of the three main groups: Hoklo, Hakka, and mainland Chinese. The identify of whether a person from Taiwan is 'Taiwanese', or Chinese, is more of a political question. De-Sinicization is the elimination of Chinese culture. ↑ Harding, Harry (1993). "The Concept of "greater China": Themes, Variations and Reservations". The China Quarterly (136): 660–86. JSTOR 655587. 1 2 Who are the Chinese people? (in Chinese). Huayuqiao.org. Retrieved on 2013-04-26. 1 2 "Han". Merriam-Webster's Collegiate Dictionary (Tenth ed.). Merriam-Webster. 1993. ↑ "Chinese". Merriam-Webster's Collegiate Dictionary (Tenth ed.). Merriam-Webster. 1993. ↑ Yang, Miaoyan (2017). Learning to Be Tibetan: The Construction of Ethnic Identity at Minzu. Lexington Books (published March 17, 2017). p. 7. ISBN 978-1498544634. ↑ "World's Most Typical Person: Han Chinese Man". China Real Time. Wall Street Journal. March 4, 2011. Retrieved 2014-07-23. ↑ Copper, John F. (2014). Historical Dictionary of Taiwan (Republic of China). Rowman & Littlefield. p. 53. ISBN 978-1-4422-4307-1. ↑ "Brief Introduction Chinese nationality". Chinatraveldepot.com. Retrieved 2014-07-23. ↑ Jenner, W.J.F. (2004). "Race and history in China". In Alan Lawrance. China Since 1919: Revolution and Reform: a Sourcebook. Psychology Press. pp. 252–255. ISBN 978-0-415-25141-9. ↑ "Constitution of the People's Republic of China (Article 33)". People's Daily Online. May 2, 1982. Retrieved 2014-07-23. ↑ "Nationality Act". Laws & Regulations Database of the Republic of China. 2006-01-27. Retrieved 2014-07-23. ↑ "Nationality Act". National Immigration Agency, immigration.gov.tw. Archived from the original on 27 September 2007. ↑ Barabantseva, Elena (2010). Overseas Chinese, Ethnic Minorities and Nationalism: De-Centering China. Routledge. ISBN 978-1-136-92736-2. ↑ Park, Yoon Jung (2008). A Matter of Honour: Being Chinese in South Africa. Lexington Books. p. 155. ISBN 978-0-7391-3553-2. ↑ Beeson, Mark (2008). Contemporary Southeast Asia. Palgrave Macmillan. p. 118. ISBN 978-1-137-06880-4.